bear temperature 15°C to 85 °C. 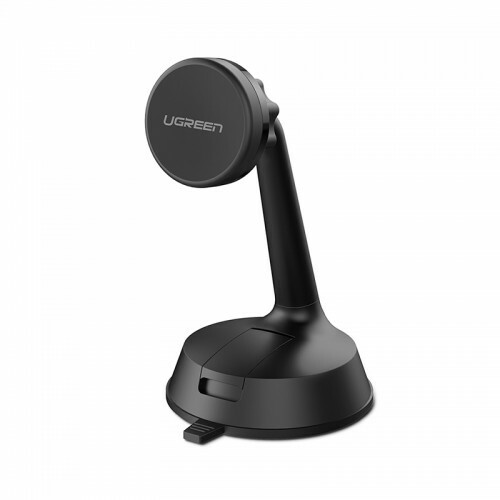 UGreen Sucker Magnetic Holder is safely keeping your phone in your car ,great for driving. Simple and seamless, just hold your smartphone and feel it mount itself from your hand.It is made up of strong materials that hold the phone securely without ever scratching its surface. You can quickly use their phone for map directions, attending calls, etc. 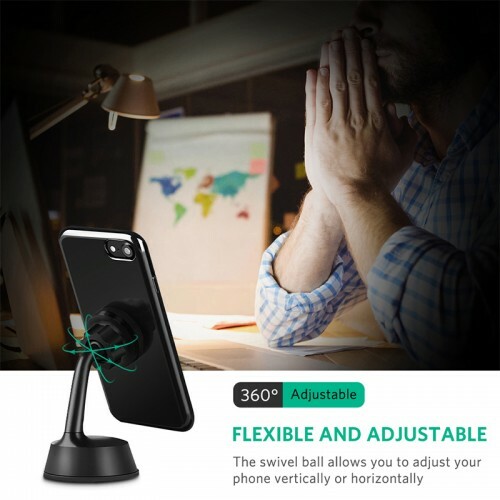 Fully Adjustable with 360 Degree Rotating.With a ball rotating motion, the phone holder providing different viewing angles 360 degree can totally fulfill your all requirements when using your phone for navigation etc UGREEN Magnetic Car Phone Mount Holder with Suction Cup, Windshield Dashboard Mount Stand 360 Degrees Rotation for iPhone X / 8 / 7 / 7 Plus / 6 , Samsung Galaxy S8 Plus S7 Edge, All Smartphone.But the metal plate only works with phones with FLAT back, phones with a curved back is not advised to use the mount. 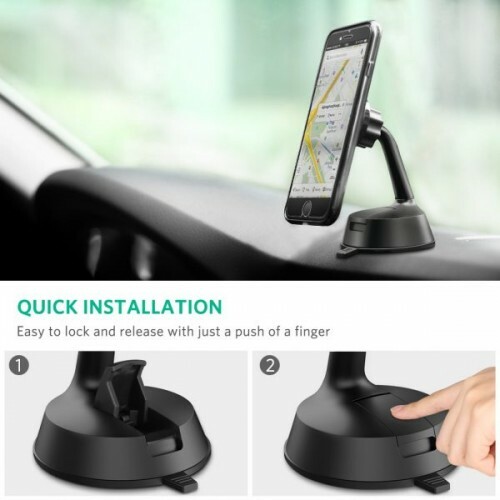 With four sets of premium neodymium magnets, the car mount holds your phone firmly, even on a bumpy road or severe brakes.No need to worry that the phone or GPS will fall off. 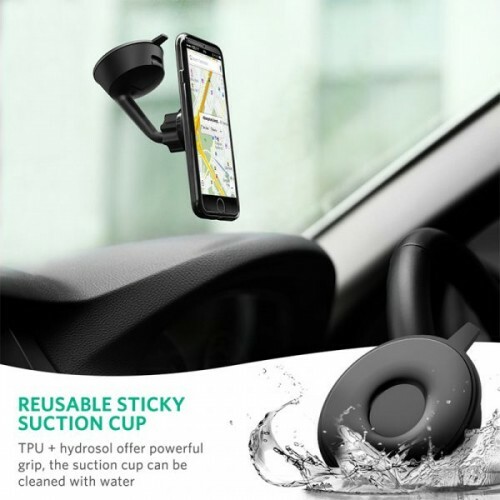 So you will be more focused on road conditions and enjoy a safer driving.With unique gel suction pad, you can rest assured that your car phone holder will remain affixed to the dash, windshield, or whatever flat surface you decide to stick it to.The built-in NdFeB magnet ensures cellphone holding firmly and securely.Your device will never ever fall off even on rugged road.